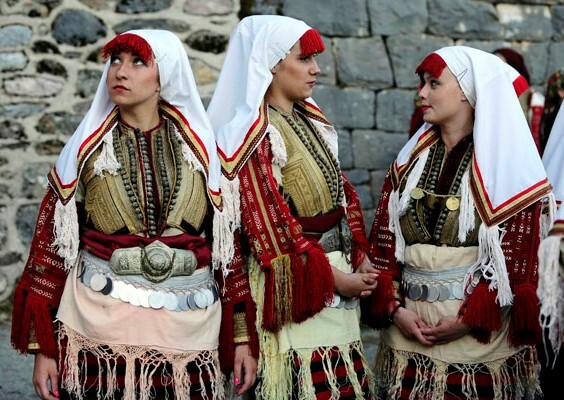 The Galichnik Wedding Festival is an annual festival held in the Macedonian village of Galičnik near the city of Debar in which a selected couple gets married in the traditional "Galichka" style wedding. 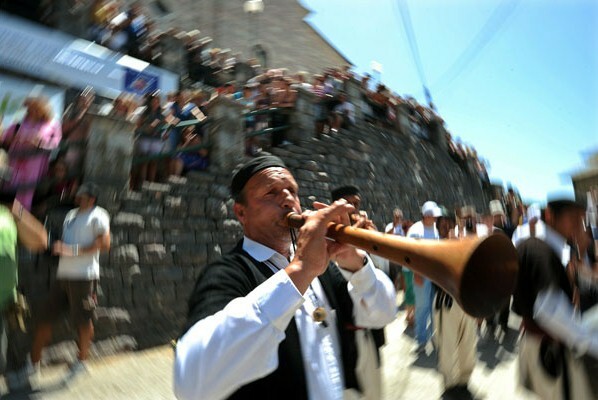 Traditionally the wedding lasted for 5 days with the main activities on St. Peter's Day (12 July) every year. It was the only period of the year when couples got married. 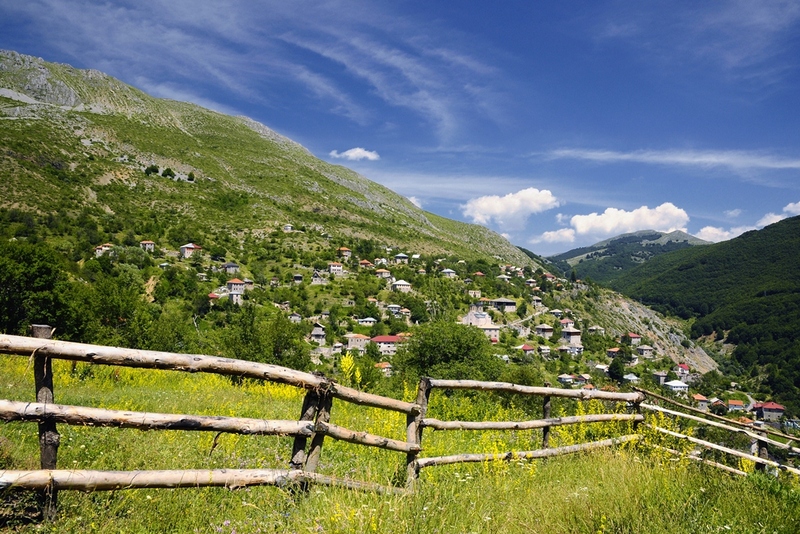 Today it is part of the festival "Galichko Leto" (Galicnik Summer) and it is a two-day event held on the weekend nearest to 12 July and it serves as a cultural and tourist attraction. 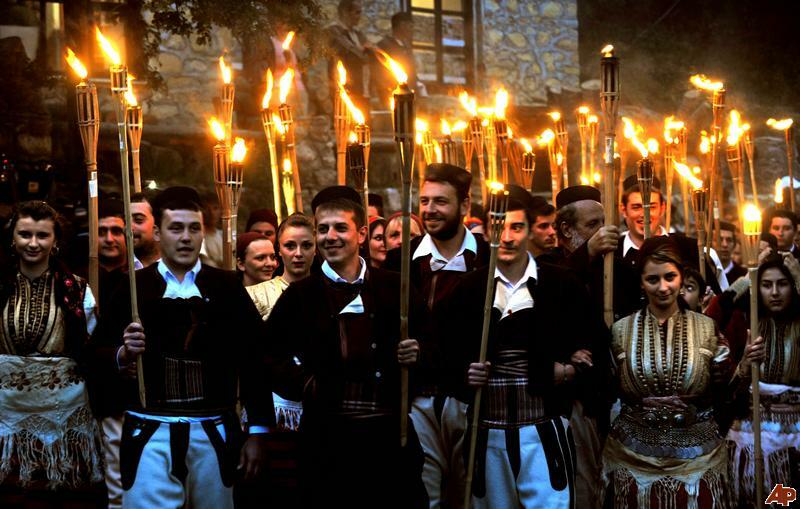 During the wedding, men dance the Teškoto, symbolizing the suffering of the Macedonian people through the centuries. 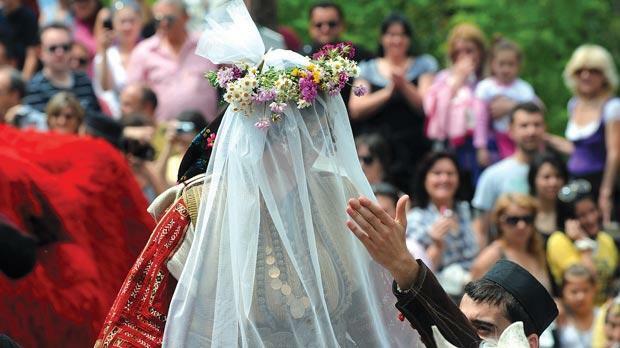 Each year, couples from all over Macedonia enter a competition run by the organisers to be the couple that gets to have a "Galichka" style wedding. Every year, a new couple gets the opportunity. In front of the "Upija" fountain, one of the friends shaves the bridegroom; an act which makes the closest relatives rueful because the shaving is a symbol of the separation of the boy from his mother and father. From the bridegroom's house, an entourage of over 50 in-laws goes to the bride’s house. The entourage is led by the bajraktar (flag bearer) and his friends on horses. The horses walk slowly in front of the entourage. Before that, one of the friends goes to the bride's house to ask for permission for the arrival of the in-laws. On the way back he joins the procession. After the arrival of the in-laws, the flag bearer hands over the flag which is hung by the window. Then one of the bridegroom's friends leads his horse in front of the bride's house where the bride looks at the bridegroom through her ring. The bridegroom kisses the hands of the bride's parents and then they put a towel over his shoulder. In front of the house the bridegroom's closest relatives sit at a table. The bridegroom's mother gives presents to the bride and then the bride kisses her hand. The bride gets dressed up and ready to go. A bridegroom's friend informs the in-laws that the bride is ready and they all prepare to go. The bride mounts a horse. The procession is led by the flag bearer. The bridegroom's mother welcomes the bride with a sieve, a cake and a goblet with wine. She circles around the bride three times tapping her on the head with the cake. Then she puts a bridle on her and on the bridegroom's cap. The bridegroom helps the bride to dismount the horse. Then she walks into the house. The bride, the bridegroom's mother and father, the flag-bearer and the other relatives walk up to the church. The bridegroom's mother carries a kettle and a basil bouquet. She spatters young couple and other guests on the way from the house to the church. A carpet is laid in front of the church and a flag is hung to the right of the entrance. After the wedding ceremony there is a wedding banquet at the "Upija". The best man resides at the head of the table and the bridegroom calls for a toast. The bridegroom's father and the best man lead the entourage. The bride is taken to the fountain where she fills water jugs. After that the bride leads the bride's dance. When wedding customs end, the closest relatives say goodbye to the musicians.